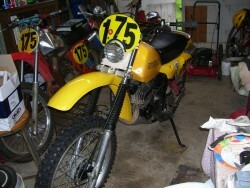 1977 Maico AW440 Bought as a complete bike with topend torn down for rebuild that was never completed. Bore looks good and head shows no damage. Bottom end looks clean and tight as well. 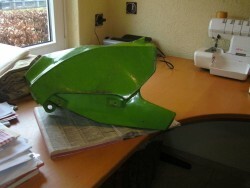 I started on the cosmetics, new number plate, side panels, magura levers and perches, tires and tubes, seat cover. DIRT BIKE,February 1985,KX500 on full cover,(a couple of tears on cover),How to do wheelies and why!! 250 MX Match -up HondaCR250 & SuzukiRM250 square off plus factory hop -up secrets!KX500: Did they finally get it right?! Barstow to vegas: Back and better than ever,Stop! disc brake tricks that you have to know!Tri-Z250: Yamaha hits Honda& kawasaki $5. 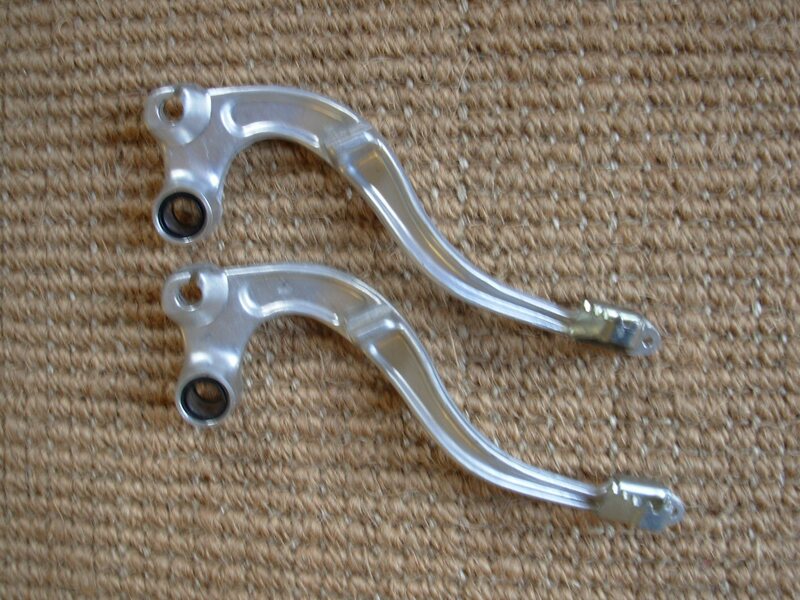 hrc swingarm for my 1986 mugen 125 project. 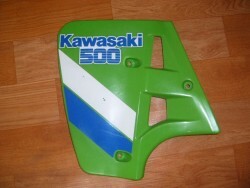 87 kx500 left rad shroud. Excellent condition. Off a low hour showbike. 1980 PE 175, complete restoration. Everything on this bike has been replaced or attended to except for the tires, steering head, and fork seals. Tim Taylor did a top and bottom end job. Very low miles since rebuild. 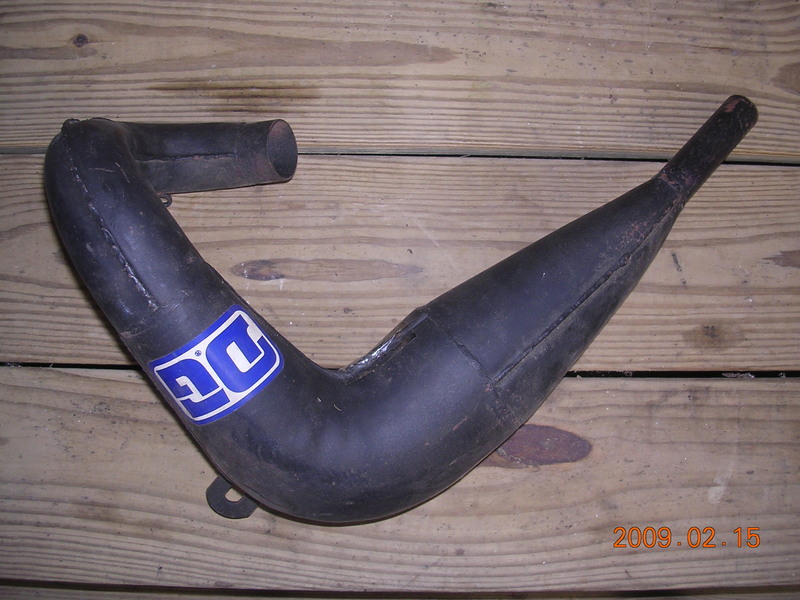 1982 Husqvarna 430 Pipe in fair condition. Has some dents and a small hole on the bootom. Price $30.00 + shipping. 1981 Husqvarna CR250 Ignition Cover. Two each are available. Price $15.00 each + shipping. 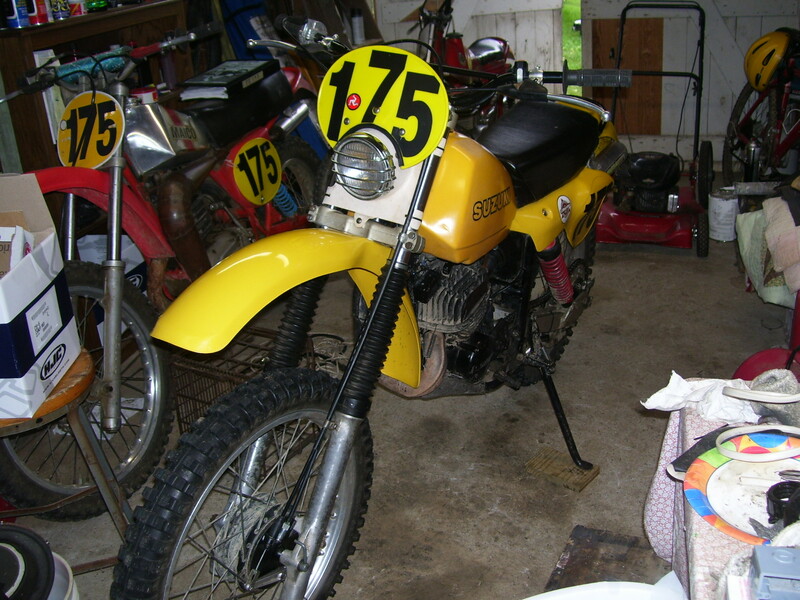 1977 Husqvarna 360 Cylinder with Head and Reed Valve. The cylinder needs a new liner, the head is in good shape and all of the fins are also. Price $25.00 + shipping. 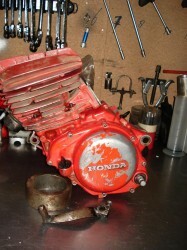 1978 Husqvarna WR250 Clutch Basket assembly complete. In good shape and will fit other Huskys. Make sure to check your Part #'s. Price $30.00 + shipping. 1978 Husqvarna WR/OR 250 Case #2066 Bottom end transmission. The crank spins free and the cases look great. Price $150.00 + shipping. 1981 Husqvarna CR250 Bottom End Transmission. Crank is locked up, cases look good. Has a motoplat on it. I tested with a meter between the black and blue wires 24 olms. This bottom end is for parts only as I do not know about the gears in the transmission. Price $60.00 + shipping. 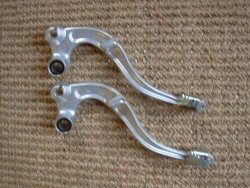 1983 Husqvarna CR250 Front Fork Assembly with triple clamps and bearings, handle bar mounts, in nice shape. Price $125.00 + shipping. 1981 Husqvarna CR250 Cylinder Barrel with Factory Piston with Wrist Pin, the # on piston 69 68 stamped. Barrel is clean, piston is missing the ring. Price $75.00 + shipping. 1978 Husqvarna WR250Cylinder Barrel with Cylinder Head, Reed Valve, Wiseco Piston with wrist pin, minus rings Part#137 P4. In nice shape. Barrel in nice clean shape. Price $100.00 + shipping. The cylinder has its first size piston. I cant find any space on the engine! Gear box works fine! the cylinder has to be bored. the engine is welded on one side. Just a good working engine. 1987 Honda Reflex TLR200 trials bike. 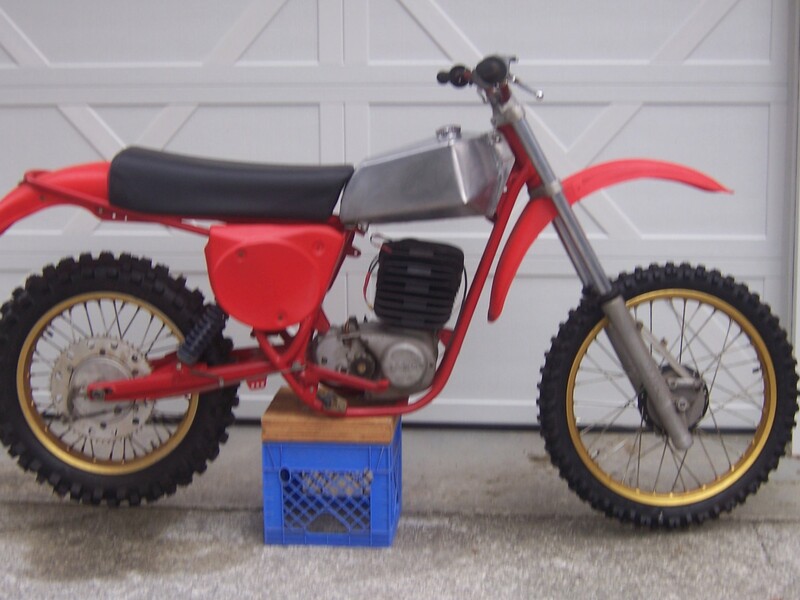 trials bike only not street legal. looking for Oakley 0/20 goggle´s , Super Seer goggle´s and a Carrera goggle ! WANTED A WORKS PIPE FROM YZ 250 86/87 like Vimond bike. please email me pictures and prices. 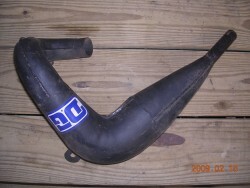 Wanted: Suzuki 1980 - 1981 RM80 DG exhaust pipe and mini round aluminum silencer. Thank You for any help locating these parts. Need a Pipe and Single Shock for an 85 Honda CR-250. Also need an 82 and 83 Engines for Maicos. 250 or 490. Cycle MAGAZINE,April 1978, Full cover, Broc Glover roosting on a Yamaha YZ 250E,Long Travel and long awaited Honda 250CR, Yamaha YZ250E motocrosser, Touring the Blue ridge mountain magic, Kawasaki KZ1000 carb swap- off triumph trident and the days of Glory past. $7. 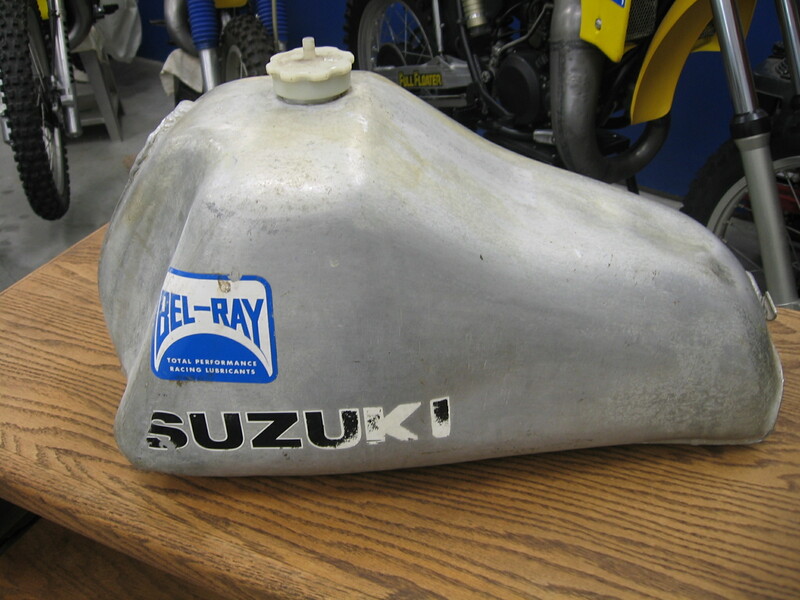 Have Works Suzuki aluminum gas tank, I believe to be 1978 . Want to trade for 1983 RA83 Works Suzuki parts. Looking for radiators & works shrouds , front wheel with brake plate , and any other parts to possibly trade . Thanks Ed . 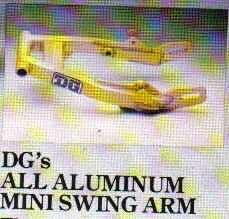 Wanted: 1980 - 1981 DG Swingarm in any condition. Terry Fork Kit for 1980 - 1981 RM80. Thank You. Set of frame covers fit 1981-84 Rm500 RM465 RM250 RM125.